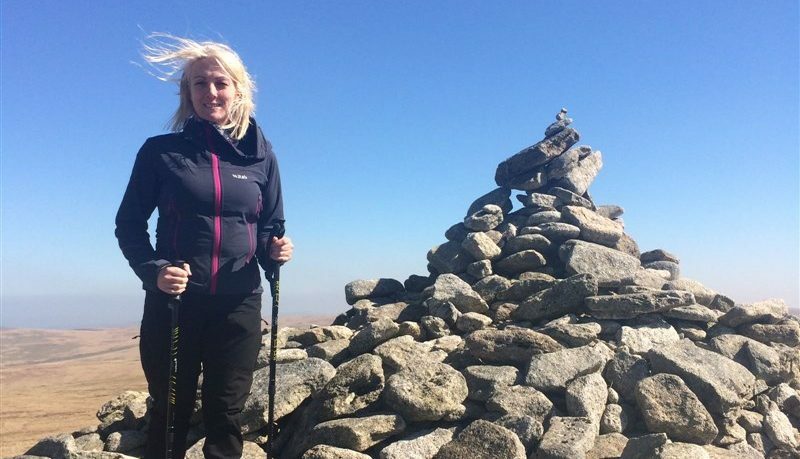 Our Finance Controller Yvette Whitehead has been working hard over the last few months training for the National Three Peaks Challenge. Yvette starts her challenge on the first week of May and will complete it over a 3 day period. It will involve climbing Ben Nevis, the tallest mountain in Scotland and the highest of the three peaks at 4409 ft, Scafell Pike in England at 3209 ft and Snowdon in Wales at 3560 ft.
Yvette has chosen to support and raise money for a charity close to her heart – The Brain Tumour Charity. She has kept her supporters up to-date with blogs and pictures throughout her training. Training so far has taken place on Dartmoor where she climbed the highest two tors, High Willhays and Yes Tor as well as steep walks around the Cornish coast and plenty of time at the gym! You can help Yvette raise money for this great cause by donating to her page JustGiving page. Partech will be thinking of her next week and wish her the best of luck completing the challenge. Yvette Successfully Completes The Three Peaks Challenge!